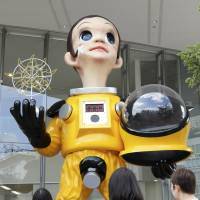 FUKUSHIMA - Fukushima Mayor Hiroshi Kohata announced a decision on Tuesday to remove a controversial statue of a child in a radiation protection suit that has drawn waves of criticism since it was unveiled early this month. “It’s difficult to keep in place a divisive piece of work as a symbol of reconstruction,” Kohata told a news conference. The statue, titled “Sun Child,” was created by contemporary artist Kenji Yanobe in 2011 to appeal for reconstruction from the March 2011 accident at Tokyo Electric Power Company Holdings Inc.’s tsunami-hit Fukushima No. 1 nuclear plant. A dosimeter is on the chest section of the yellow protective suit worn by the standing statue, which is about 6.2 meters high. The unveiling of the statue near Fukushima Station on Aug. 3 sparked disapproving comments online. 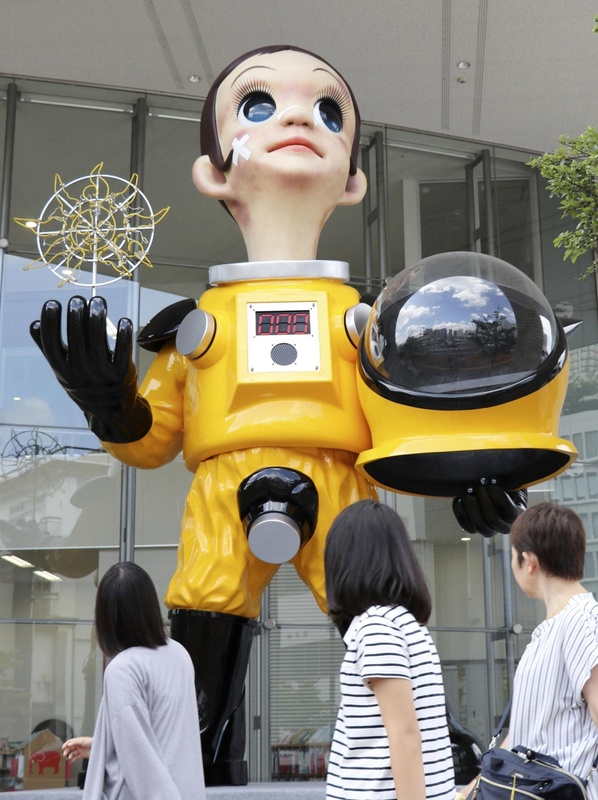 One such comment was that the statue gives the impression that people cannot live in Fukushima without protective suits, while another suggestion was that it might give rise to unfounded rumors about the nuclear accident. The Fukushima Municipal Government has been studying how to respond to the situation while canvassing opinions from citizens on the statue in a survey launched on Aug. 18. Of 110 opinions that had reached the government by Monday, about 70 percent were negative about the statue, according to city officials. The city government plans to take down the statue as soon as possible and is discussing what to do with the work after its removal. “I offer my heartfelt apology to those who were offended.” Kohata said. He also expressed an intention to take a pay cut.